the "hill" - perfect for kite flying! Head over to Tropical Park for a day of recreational sports activities or a leisurely outing with the family. 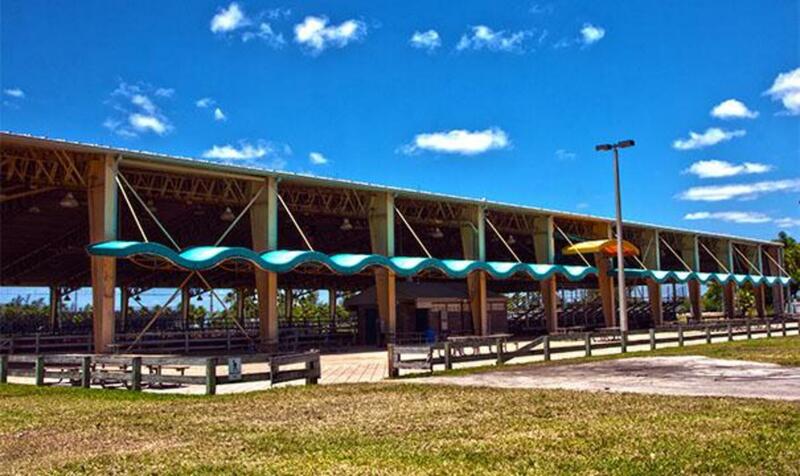 Once the site of Tropical Park Race Track, Tropical Park is a 275-acre urban park located in the Westchester neighborhood right off the Palmetto Expressway and Bird Road. Have the family in tow or planning an outdoor get together with friends? 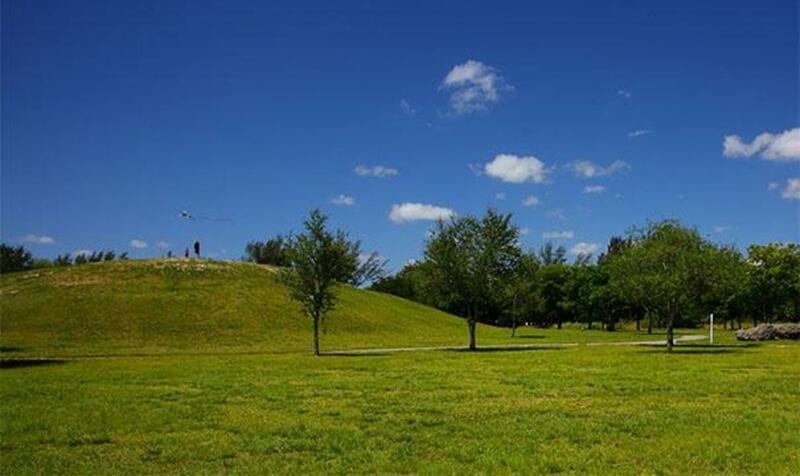 The park features open lawn areas (ideal for frisbee) as well as covered picnic shelters. For the athletically inclined, there's an abundance of facilities catering to a wide spectrum of activities - basketball courts, tennis courts, racquetball courts, boxing center, fitness center, baseball field, softball field, tennis courts, racquetball courts and soccer field. Stroll, run or bike the miles of paved trails that wind through the park's tree-lined, open lawn and forested areas. Track and field enthusiasts can hit the track at The Tropical Stadium which is open every day and only closed to the public for special sports events such as track meets. 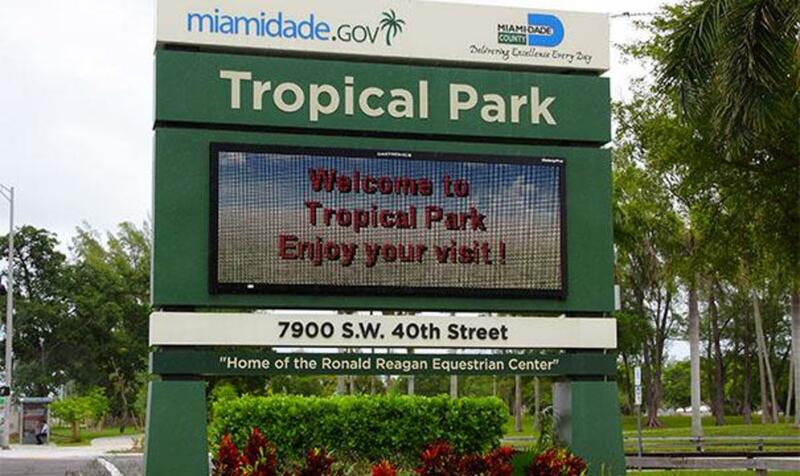 Tropical park also boasts the Ronald Reagan Equestrian Center that hosts more than 36 horse shows a year. 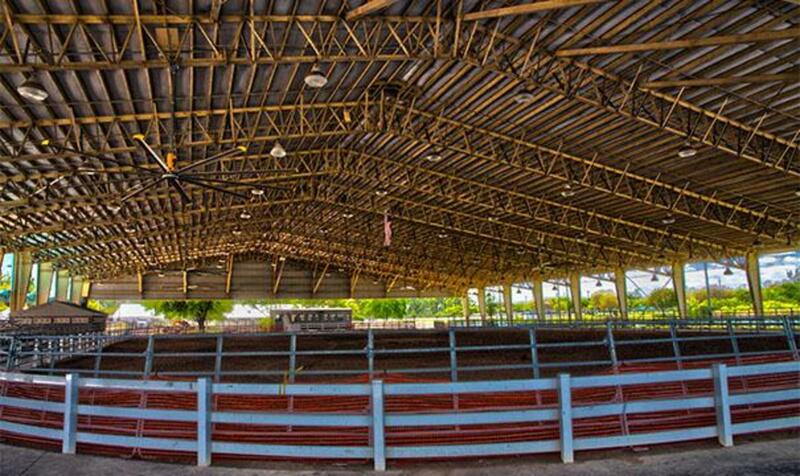 It has two grass courses, seating for 1,000. a promenade and 3 state-of-the-art show arenas It also has recreational vehicle hookups, restroom facilities and concession stands. Temporary horse stall rentals are also available during non-event days. The on-site Tropical Park Boxing Center offers daily as well as annual memberships that not only include boxing but also bootcamp, conditioning, personal training, self-defense and more. The Southwest Community Farmers' Market happens each Saturday from 9a.m. - 3p.m. year-round just inside the Bird Road entrance to the right. Take home tasty fresh fruits and veggies straight from the farm. The park grounds also feature four lakes where visitors can paddleboat or fish, and a 2-acre dog park.